Just minutes from Lake Michigan you'll find Ludington's favorite golfing destination for residents and visitors--Lakeside Links Golf Club. Everyone enjoys heading out on Lakeside Link's 27 challenging holes on rolling countryside. No matter what your age or skill level, this course is for you. Affordable and friendly, a summer day spent on Lakeside Links is always fun and memorable. Driving Range! For directions and pricing, call the golf shop at (231) 843-3660. 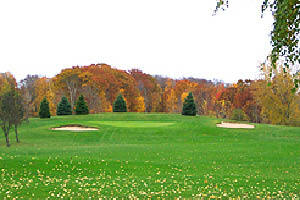 The 27 hole course is divided among three nine hole courses, East, West and South. Fairways and greens are meticulously maintained, and the course meanders through wetlands, hardwoods, and beautiful views of Hopkins Lake. Scott Ashley is the Head PGA Professional and he offers both private and group instruction. He is a graduate of Ferris State University's golf management school and has been with Lakeside Links since 2003. George Towns is the superintendent and makes sure you will have a golfing experience that will exceed your expectations. During the summer, rates start as low as $19 Monday-Thursday before 2pm to walk 9 holes; $21 for 18 holes. Friday-Sunday price is $20 before 2pm for nine holes; $25 for 18. 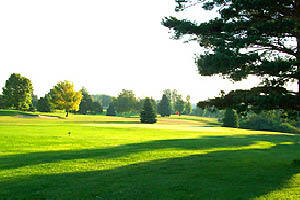 Twilight Play (2pm-6pm) cost is $12 for nine holes; $19 for 18 holes. Prices go down further after 6pm. Cart fees are $9 for nine holes and $14 for 18 holes. There are special prices for seniors, those under 17, as well as low off-season rates. Memberships are also available. The professional staff at Lakeside Links will be happy to help organize a private or corporate golf outing, at the most affordable prices in the area. Lakeside Links full service Golf Shop can outfit you in the latest golf apparel and equipment. Pick up extra tees, golf balls, a new cap or pair of gloves--Lakeside Links Golf Shop has it all. When hunger strikes, their Bar & Snack Shop offers a variety of snacks and your favorite beverage. For a great game of golf, you have a choice in West Michigan. So go with what feels right--call Lakeside Links Golf Club for your tee time and see why it's Ludington's favorite course!